3. Counters or coins to move around. 4. Some “play” money (guineas). A. Each player begins with 20 guineas. B. Throw a six to start. D. Follow all the instructions on any square you land on. 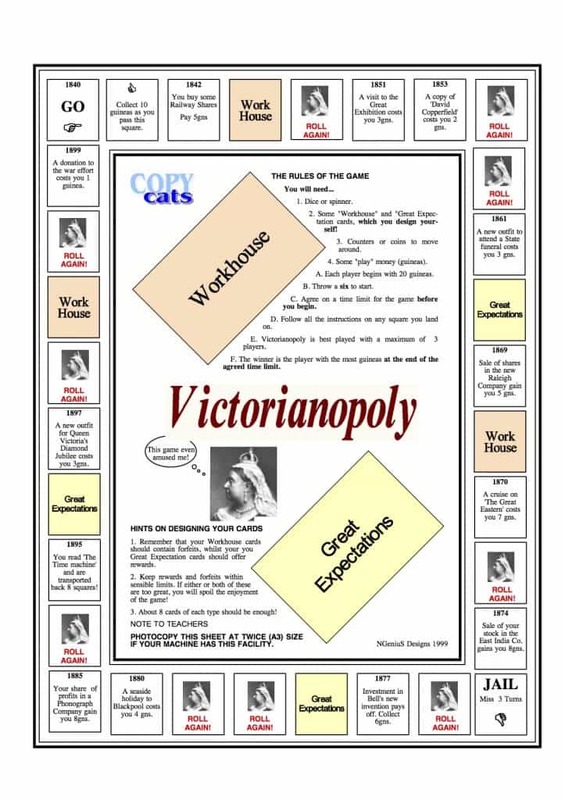 E. Victorianopoly is best played with a maximum of 3 players. F. The winner is the player with the most guineas at the end of the agreed time limit.